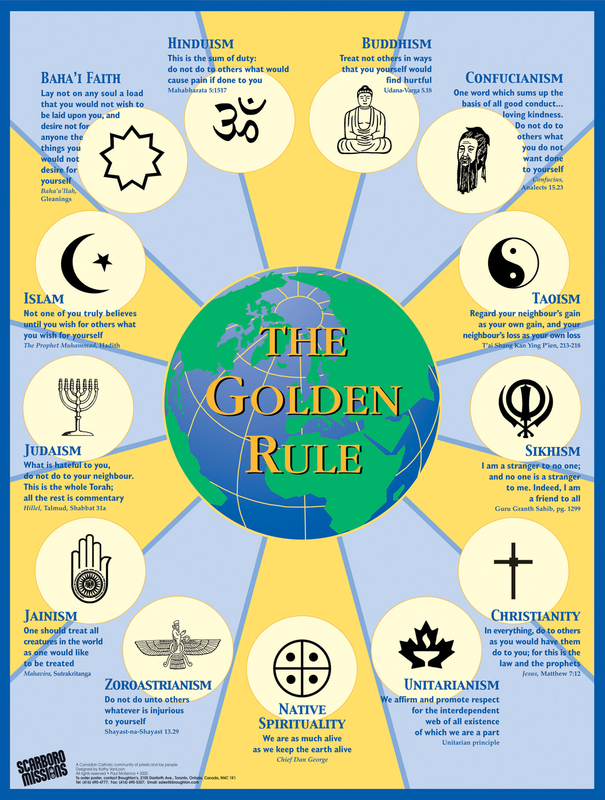 Scarboro Missions publishes hard copies of the Golden Rule posters but they can also be downloaded free of charge. The Golden Rule texts are now available in several languages. The Golden Rule by Professor Harry Gensler S.J. He is a professor of philosophy at Loyola University Chicago.